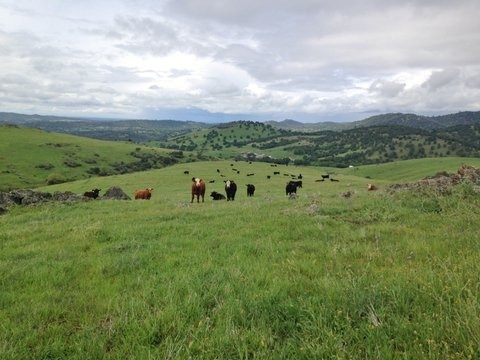 WHAT: Rangeland managers, livestock producers and scientists from across the country will gather in Sacramento to discuss "Managing Diversity" at the 68th Society for Range Management Annual Meeting. Topics of discussion will include invasive species, wildland fires, urban-rural interface, water, water quality regulation, drought, livestock distribution, rangeland conversion and wildlife habitat. VISUALS: Several tours of grazing sites will be offered in the Bay Area (Jan. 31 & Feb.1) and in the Sacramento Valley (Feb. 4). Rangeland managers, livestock producers and scientists from across the country will gather in Sacramento to discuss "Managing Diversity" at the 68th Society for Range Management Annual Meeting. On Monday, Feb. 2, Temple Grandin, a professor of animal science at Colorado State University and livestock-handling equipment designer, will discuss how people with different approaches to problem-solving can complement each other's skills to do innovative research and solve problems. "I am a visual thinker and another person may be a more quantitative mathematical thinker," said Grandin, who is autistic. "My talk will help both research scientists and people in the field to understand each other and work together more effectively. I will also discuss how visual thinking helped me understand animal behavior." The schedule of events is at http://rangelands.org/sacramento2015/schedule.html. For tour details, click the "Training & Tours" tab at the top of the page. There's a mobile app that contains the conference schedule. The app also works on computers. To download the app, visit https://guidebook.com/guide/20297/ and type in "SRM2015" for the redemption code. To obtain a press pass to conference events, contact Sheila Barry, UC Cooperative Extension advisor, at sbarry@ucanr.edu or (408) 282-3106. For more than 100 years, University of California Cooperative Extension researchers and educators have been drawing on local expertise to conduct agricultural, environmental, economic, youth development and nutrition research that helps California thrive. UC Cooperative Extension is part of the University of California's systemwide Division of Agriculture and Natural Resources. Learn more at ucanr.edu.